We expect all children to bring their own PE kit to school for their PE lessons. 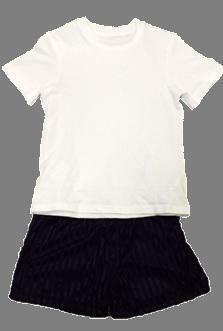 The school PE kit is a white t-shirt and black shorts or black tracksuit trousers. If children are doing outdoor games lessons, they should also bring a sweatshirt or tracksuit top to keep them warm. Children should also have a pair of plimsolls or trainers to change into for PE lessons. PE kit can be purchased from the PE department for £3 for KS1 children and £4 for KS2 children. Please make sure that all items of PE kit are clearly marked with your child’s name.